When it comes to driving, we have all had to do our best to make our way through bad rainfall, or there has been the tail of a hurricane from abroad that we have felt hit the side of the car. But what is it like to drive in really difficult conditions? With the winter coming up reporting to be one of the coldest in a long while in some areas, it could bring along problems like ice and snow, which makes driving an incredibly arduous task. This guide is built for the novice driver and the experienced one. Because, even though we’ve all had experience of driving in bad conditions, you can never be underprepared for when a massive storm hits, or the road freezes. Here, I will address each problem individually and get you ready for the road. We will start with the most common of weather. If you’re new to driving and have yet to experience a real rainstorm, you will very soon. So be prepared. The best way to navigate a really difficult rainstorm is to firstly be aware of your speed. Slowing down by 5 to 10 miles will give yourself more time to react. Driving in extreme rain can cause the car to hyrdoplane, which means the car is lifting off the ground, and you are driving on a layer of water. If this occurs, don’t panic, just slow the car down until the car returns to normal. Secondly, be aware of how close behind another car you are. Tailgating is not the best idea in blistering heat, let alone a harsh rainstorm. 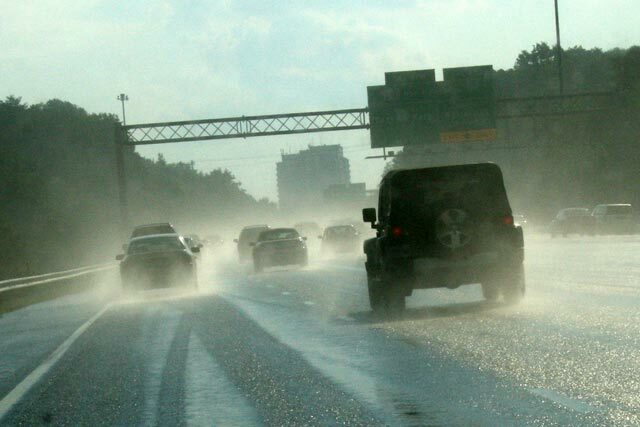 Braking during average rain can increase the braking distance. So to avoid a nasty accident, keep a recommended two car length behind and your bumper will thank you, so will your family if they’re in the car too! Unless you live in Canada, people aren’t prepared for driving in snow. 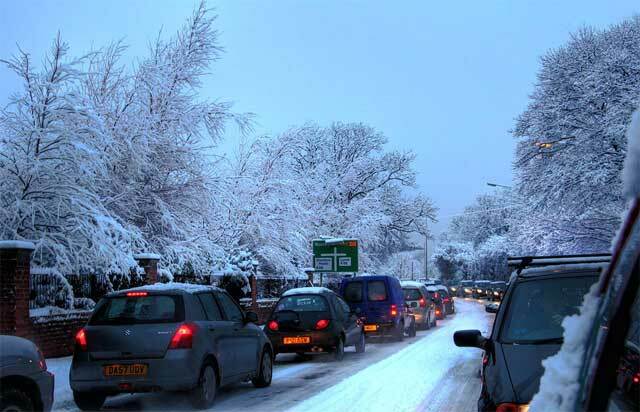 Snow brings many risks to drivers who are ill equipped to deal with it. Firstly, if the snow is so bad that you cannot see out through your windscreen, it is not recommended to embark on a journey if you can help it. Driving in adverse conditions is a risk to yourself and anyone in the car with you, so think about that first. Secondly, if you’re driving in the snow, slow down. Reduce your speed by 10 miles per hour, and if the conditions still feel a bit iffy, slow again by a further 5 miles or until you feel you are comfortable. Thirdly, when entering a turn, don’t brake. While this sounds counterproductive, it can lead to the car spinning out. 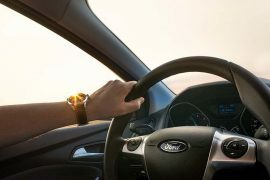 Instead, before you get to the curve, lightly tap the brake to slow the car to a manageable speed. Then turn the wheel as you go around the curve and coast around it. Be sure not to press the accelerator or brake while turning! Another common issue with driving in snow is the risk of skidding. To tackle this, you need to turn the car into the direction the car is skidding. For example, if the car is sliding to the right, turn your steering wheel to the right. Doing this cancels out the skid and straightens out the car. Again, as with driving in the rain, keeping a safe distance behind the car in front will give you plenty of reaction time if they decide to brake suddenly. 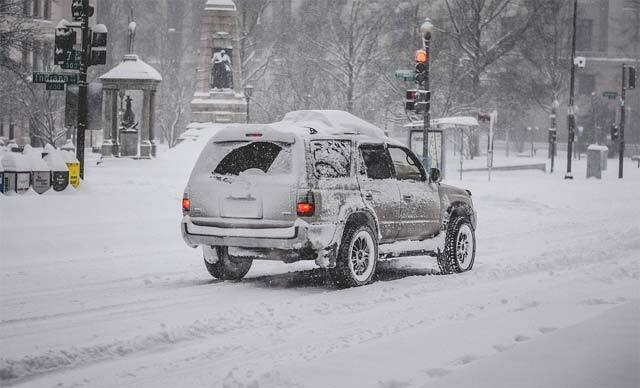 If you need to drive in the snow on a regular basis, making sure the car is equipped to deal with the conditions should be a priority. Make sure your tyres and brakes are in top working condition because they will be used a lot. Looking at sites like AA Tyres can help with what you need as far as tyres are concerned. Driving in foggy weather is one of the more nerve racking things. Visibility is so low so you need to be driving with your wits about you. Firstly turn on the fog lights or the low beam. The lights are yellow, which shines through fog better than white lamps. As they are low to the ground the beams illuminate the road well. Before entering a bank of fog, make sure you pump the brakes. This will alert the cars behind you to keep their distance. 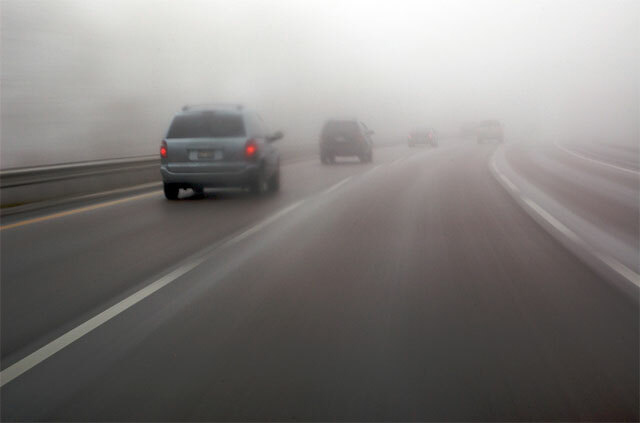 If you decide to hit the brakes suddenly when you are in the thick of the fog, you may have cars going into the back of you. Before a hill, slow the car down. You need to be extra careful driving over the crest of a hill because you won’t be able to see if there is another car stopped there. Driving on ice should be avoided at all costs, due to the skidding factor and the ability to spin the car out. If driving through snowy conditions, black ice is a common problem. Black ice is incredibly difficult to spot, because it is absolutely crystal clear. You can spot it when your headlights reflect off the road at night. It tends to form on bridges, in the shadows of tall buildings, and at intersections. So make sure you slow down a couple of hundred feet before junctions and lights. Inspect the wipers. Replace any that have cracked rubber, or you could purchase winter blades. Clean headlight covers. This will stop them being yellow and cloudy, which happens when they are sat in the sun. 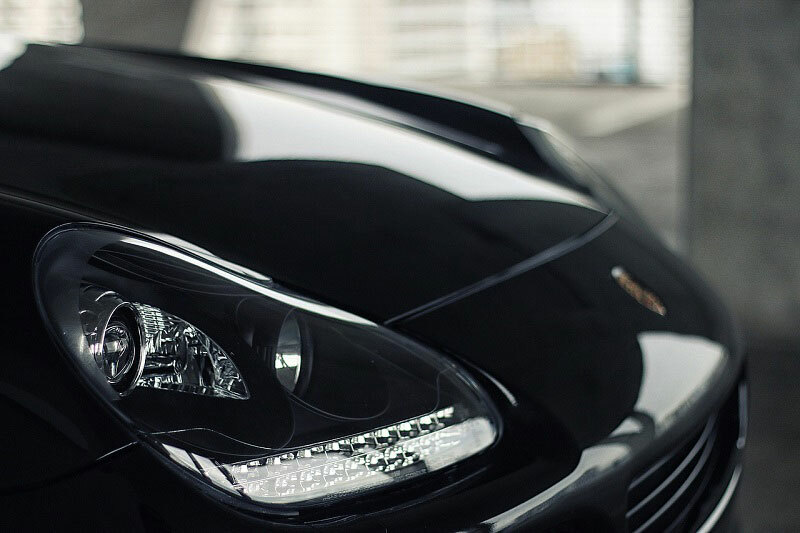 It cuts the amount of light coming from your headlights. Check tire treads. Having sufficient tread in your tyres will be a lifesaver. See how to check it here. Stock an emergency kit. Include things like a shovel, a torch, jumper cables, a tow rope, an air compressor, duct tape, and an ice scraper.